Home Office immigration officials are “foolishly” flouting the Good Friday Agreement and causing a “damaging” and “entirely avoidable” crisis by denying certain EU rights to Northern Ireland-born Irish citizens. Leading lawyers told the Irish World that immigration officials have been allowed disproportionate influence on an otherwise “easily resolved” matter. 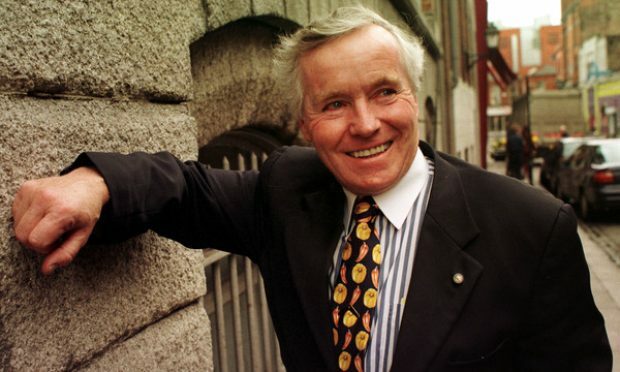 Simon Cox, a migration lawyer for the Open Society Justice Initiative, told the Irish World that the change — the consequence, he said, of a European Court of Justice case on which he worked as a barrister — makes Irish citizens born in Northern Ireland “worse off” than Irish citizens born in Ireland under the same circumstances. 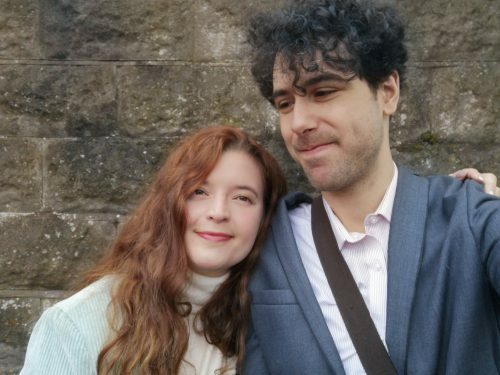 Since last November, the Irish World has been reporting on the case of Emma de Souza, currently embroiled in a lengthy legal battle with the Home Office which insists that she — and others who do not want their details made public — cannot identify as exclusively Irish. De Souza’s case, specifically the requirement on her to renounce her UK citizenship in order to claim her EU rights, has agitated human rights groups and politicians across Northern Ireland. The Home Office has refused to provide any detail about the nature or scope of Mrs May’s promised review. 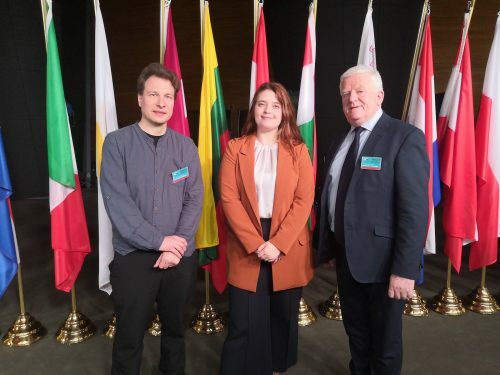 In Dublin, Declan Breathnach, a Fianna Fáil TD and vice-chairperson of an Oireachtas committee arising from the Good Friday Agreement, called on the Irish government to intervene in Emma de Souza’s case. “I’m cognisant of the idea that this is a pending court case, but the spirit of the Good Friday Agreement is, in my view, being contravened in Emma de Souza’s case,” he said. Mr Breathnach has asked the committee to invite Emma de Souza to address its members who have responsibility for oversight of the implementation of the Good Friday Agreement. “It’s important that this is brought before all elected representatives in Ireland,” he said, adding that Irish politicians must learn of, and tackle, many other “all-Ireland issues” considering the lack of an assembly at Stormont and the “chaos in Westminster”. Sinn Féin senator Niall Ó Donnghaile will raise a Commencement matter on Wednesday in the Seanad, seeking to elicit a response from the Irish government on this recent development. “The British (sic) Gov has redefined definition of EU national,” she said. The leader of Northern Ireland’s Alliance Party, Naomi Long, said her party is “dealing with this and related issues via a number of routes”. The escalating dispute arises out of the fact that when family members from Northern Ireland seek EU residency cards for a non-European Economic Area family member, the Home Office insists that their dual citizenship – it says they are default British citizens proclaiming also to be Irish citizens – disqualifies them from the application process. Consequently, those holding Irish citizenship in Northern Ireland cannot apply for the EU settlement status scheme — the post-Brexit mechanism to help EU migrants in the UK secure their right to reside — since they are considered British by birth. 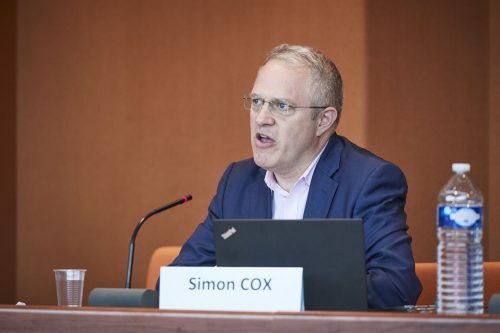 Mr Cox said: “The position that people like Emma [de Souza] have been put into, in which they are given legal advice that if they renounce their British citizenship they might have a legal right to rely on EU law, is harmful to the spirit of the Good Friday Agreement. “Immigration officials in Whitehall, with the support of ministers, are creating a problem for people in Northern Ireland which is out of proportions to the objectives that they’re seeking to achieve. 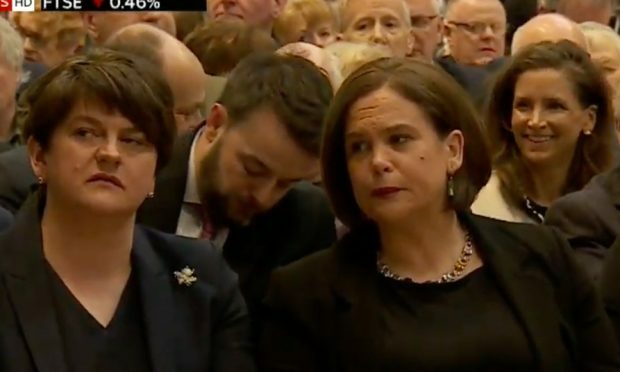 “In order to stop those people from being able to live with their loved ones in Northern Ireland, they’re generating a conflict within the scope of the Good Friday Agreement. “That’s politically really foolish and I think it shows what kind of distorted influence immigration officers have inside the British government. He cautioned that, out of context, it can be “misread” that this decision “strips” Irish citizenship away or “takes away” most rights under EU law. 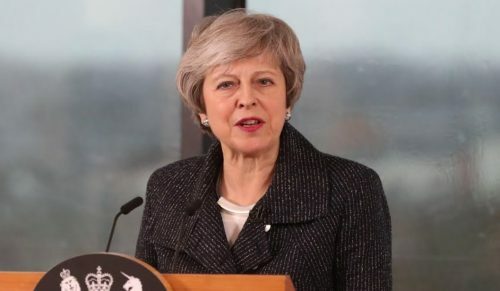 Daniel Holder, deputy director of the Committee on the Administration of Justice (CAJ), a human rights NGO, said that the changes are not only “incompatible” with the Good Friday Agreement, but also Theresa May’s own Withdrawal Agreement. 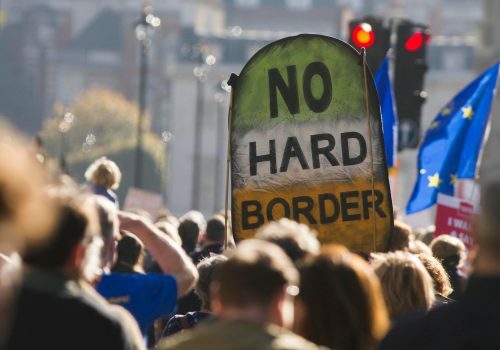 “This provision would mean the up to 1.8 million NI-born persons who are or are entitled to be Irish and hence EU citizens after Brexit will retain only basic free movement in the EU but will be the only EU citizens in the UK subject to a blanket ban on retaining any of the other rights under the EU Citizens Rights section of the Withdrawal Agreement,” said Mr. Holder. Emma de Souza, the rights campaigner at the centre of the controversy, who unearthed the Home Office’s alteration, told the Irish World this is a “direction the Home Office has moving in for some time,” and pointed to her own long-running case. In January, an Oireachtas committee on human rights heard that both the Irish and British governments need to provide “clarification” on the rights of Irish citizens in the UK to ensure they do not become second-class citizens. People in Northern Ireland who assert Irish citizenship could become “second-class citizens” post-Brexit, it was claimed. Earlier this year, Maria Caulfield, the Conservative MP who sits on the Northern Ireland Select Affairs Committee, said that she was “extremely concerned that the Good Friday Agreement is not being upheld” in the de Souza case and said that her committee may need to scrutinise the growing concerns. 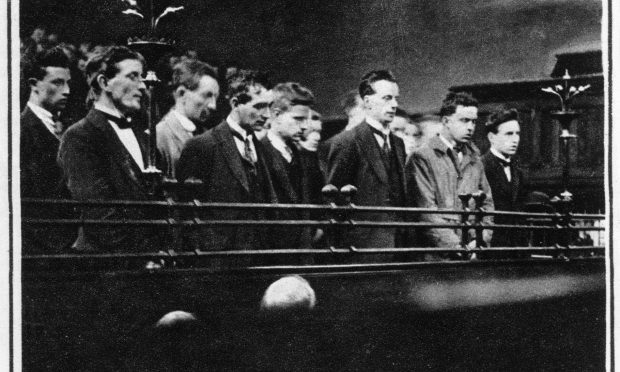 Ms De Souza subsequently met with Ms Caulfield following the Irish World’s reporting of the case. As a part of two recent delegations to Brussels, Ms De Souza said she had “productive” meetings with EU officials, including European Parliament Vice President Mairead McGuinness. 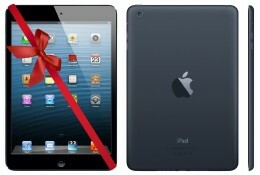 “[The delegation] have justifiable concerns about the future. These include the need for the legal basis for the Common Travel Area to be strengthened. And making sure that the right of people from Northern Ireland to identify as Irish or British or both – as set out in the Good Friday Agreement – is implemented fairly and effectively, including EU rights of Irish citizens and the equality of treatment of Irish and British citizens in Northern Ireland,” Ms. McGuinness told the Irish World. “I will be raising the points they made with colleagues in the Parliament and the Commission,” she said. As things stand, those in the North have no option but to renounce their British citizenship if they wish to retain their EU rights — a process which, by its nature, means someone must legally recognise they once held British citizenship.